It is no great secret that most journalists don’t much like the Olympics. They see the Games as an oversized vanity project that primarily burnishes its host city’s image while supposedly being about encouraging sports participation and leaving a positive urban legacy. They use selective but nevertheless significant examples (Montreal 1976, Athens 2004, Sochi 2014) to show underused Olympic Parks that, at worst, have been financially ruinous for their hosts (Fig. 1). They have little time for its ruling body, the International Olympic Committee (IOC), which they see as stuffed with unelected grandees, undemocratic, arrogant, and rich as Croesus. 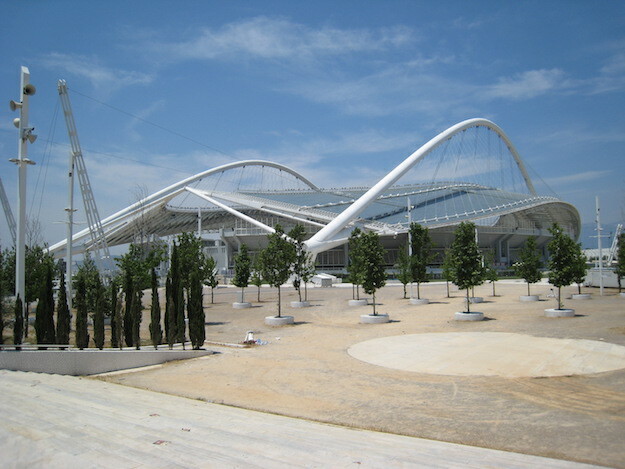 Figure 1: The habitually deserted Olympic Park at Marousi (Athens), the main site for the 2004 Summer Olympic and Paralympic Games, as seen on a bright Saturday morning. Bad news is therefore welcome and Rio de Janeiro 2016 did not disappoint. Items published before the event focused on incomplete facilities, the collapse of the sailing ramp, state-fostered drug abuse programmes, Brazil’s economic doldrums, the Petrobras scandal, the potential impeachment of President Dilma Rousseff and the Zika virus. During the Games the daily drip-feed continued, notwithstanding abundant televisual images of a highly successful sporting festival staged in arenas framed by stunning scenery (Fig. 2a). There were the shots of largely empty stadia juxtaposed with images of long queues at ticket booths, the diving pools that mysteriously changed colour (Fig. 2b), the volunteers who failed to materialise, the expensive express buses that ran empty, the pollution in Guanabara Bay, the ticketing scam involving the Olympic Council of Ireland, and the funding crisis facing the Paralympics. After the Games, familiar themes appeared. The Olympics were an extravagant party that diverted money from better causes. 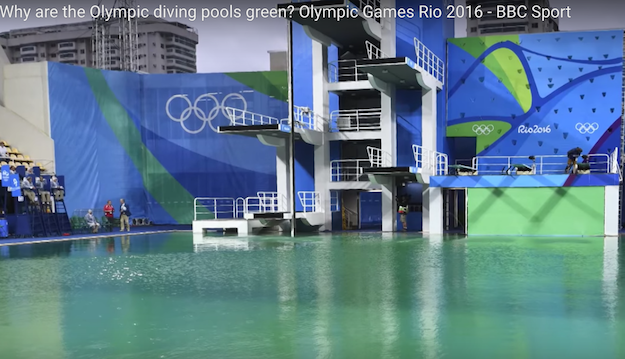 Rio will be left with sports venues with high maintenance costs but little legacy use. The infrastructural improvements, especially the metro extension, primarily serve those living in richer districts. Sports participation is unlikely to rise. Rio’s structural problems will remain. More grist to the mill perhaps and these are certainly themes that many contributors to the third edition of our book Olympic Cities, published to coincide with Rio 2016, would accept merit their headline-grabbing appeal. Nevertheless, all would agree that they only hint at part of the picture. The story that the book’s essays collectively tell is as complex and multifaceted as the Olympic festivals themselves, containing evidence of positive and lasting achievement as well as about hapless dysfunctionality and hubris. In particular, they provide at least three compelling, but seldom stated reasons as why the Games have persisted and indeed thrived over the last 120 years. First, when the IOC decided in the 1890s to re-establish the Olympics on an ambulatory basis rather than being assigned to a permanent site, it effectively chose a solution that would seem inefficient in organisational terms. Every four years a new city would take on the mantle, having to appointing new personnel and create bodies and procedures to prepare the venues, stage the games and undertake post-event adjustments – with all that implies in terms of staffing, skills and management. Yet, the procedure undoubtedly serves to refresh the event. Despite knowledge transfer procedures, no Olympics is ever the same as the one before, especially since those responsible for producing the Games invariably feel the urge to vie with their predecessors in wishing to show off their creativity and the best features of local and national identity. Intentionally or otherwise, the chosen structure means that the Games are continually renewed. Secondly, the relationship between the Olympic movement and the host city resembles the operation of a franchise arrangement. The IOC, as the franchise owner, runs a complex four-yearly mega-event. It cannot proceed without the active participation of cities wishing to purchase the franchise, supply the necessary venues and organise the event, but the franchisee seeks a reward for its investment. What is extraordinary about the Olympics has been the flexibility of its basic format in absorbing the changing nature of the rewards in question. Over the years, host cities have sought, among other things, to develop sport, promote tourism, engage in place promotion, wage cultural diplomacy, conduct targeted or general urban development, undertake city branding, pursue sustainability and work toward long-term positive legacy. All have been absorbed seamlessly. There is no reason to believe that the same formula will not continue to work in the future as other agendas are drawn in. Thirdly, and related, is the question of narrative. The IOC has long recognised that the Olympics impose an enormous financial and logistic burden and one that continues grow, given the inclusion of no less than five new sports for Tokyo 2020 (Fig. 3). Allowing the host city to address its own needs as a reward is part of the strategy for successfully staging the Games, but other elements are required as a way of more generally warding off accusations of gigantism and profligacy. One effective strategy has come though mastery of narrative; providing convincing stories to present to the world as a way of understanding what the Olympics are about. During the 1990s, the favoured narrative was that of sustainability; a principle indeed that was added to the Olympic Charter. 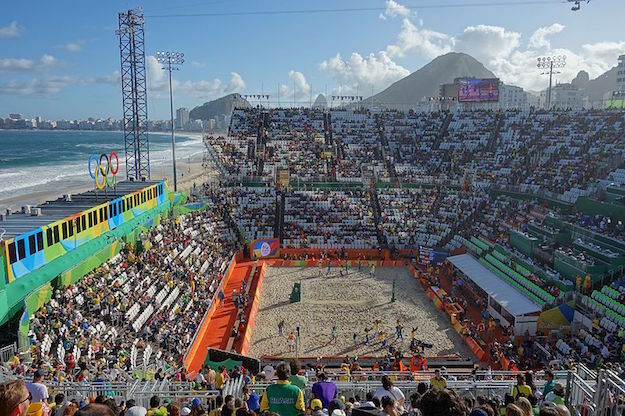 By adopting notions of sustainability, cities would use resources responsibly in making the Games and the Olympics might also be seen as spreading good practice in a world becoming acutely conscious of the need for environmentalism. Over the last 15 years, the mantra has switched to legacy. This is currently so heavily emphasised that one might suppose it had always been a prime requirement for host cities, but that is far from the truth. Looking back to the first edition of Olympic Cities in 2007, discussion of legacy was confined to an Afterword. That was not due to sloppiness on our part. Legacy had then been added to the Olympic Charter as recently as 2003 and, given the seven-year time frame for preparing the event, it meant that only Games yet-to-come – from Vancouver 2010 onwards – could justifiably be judged by that benchmark. By 2016, things have moved on. Legacy, with all its permissive ambiguities, has become a touchstone of a successful Olympics and almost all the essays in the third edition explicitly address that theme. Nowadays it would be impossible not to view success or otherwise at least partly through that lens, yet it remains a narrative. There is still no a priori reason why a sporting and cultural festival should be required to yield, say, urban development or long-term improvement in the skills base of the local workforce. The fact that pursuit of legacy simply seems like applied good sense is an index of how well the idea has been sold. It does not diminish the importance of the idealism that also sits at the heart of the Olympic project to say that, more generally, acceptance of legacy partly reflects the presentational skills of the Olympic movement (Fig. 4). Figure 4: Not all elements of urban regeneration are about buildings and infrastructure. The Queen Elizabeth Olympic Park at Stratford in East London included provision of open space for recreation and improved biodiversity in an area previously lacking adequate parkland provision. These three ideas help to explain why accepting the expense of the Games will continue to be seen as a worthwhile goal for cities that aspire for global status. Admittedly, the evidence of the bidding competition for the 2022 Games implied that that it might be difficult to find hosts for the Winter Olympics, particularly from cities in democratically governed countries. Yet the intense competition for the 2024 Olympics suggests that there are still ample candidates for the Summer Games and all they are felt to offer. Perhaps, as J.P. Morgan is alleged to have said: "If you have to ask the price, you can't afford it”. The evidence from Olympic Cities is that there is a longstanding and continuing belief not only that cities feel that they can afford the price but also that they should. Images 1, 3 & 4, courtesy of the author John R. Gold, for rights please enquire.